You can feel confident each time you put a Perry Process shirt on! 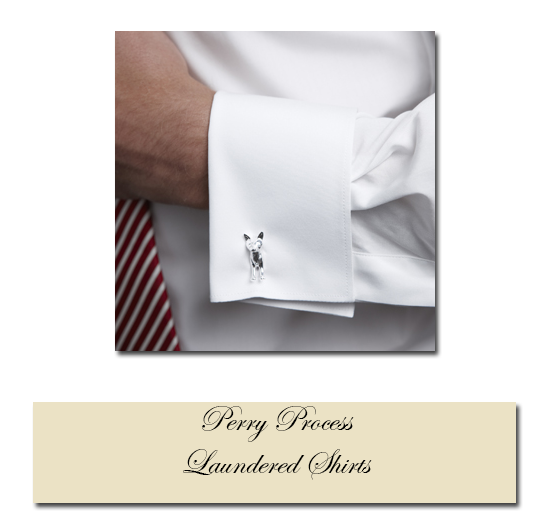 At Perry Process we have taken shirt laundering to a higher level with care precision and meticulous attention to detail. Each shirt is inspected prior to laundering and processed based on the fabric type and construction. Stains are pre-treated and the shirts are gently laundered. Our final inspection consists of pressing and hand ironing, replacing missing and cracked buttons and the garment is returned to you in like new condition. We offer a variety of services: You can have your shirts neatly folded and boxed this is a great service for those of you who travel, or you can receive it on a hanger. Perry Process provided you with a way to keep your shirts in optimal condition for years to come.